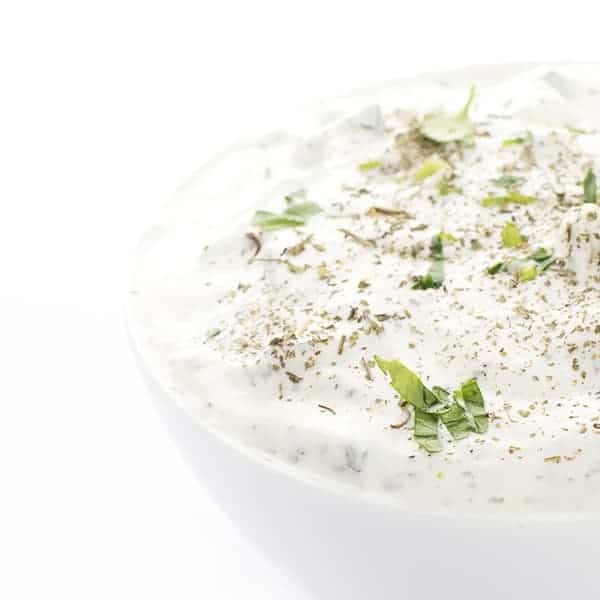 This cool and creamy Lebanese laban cucumber yogurt sauce is perfect with grilled meats, salmon or as a side salad with a variety of Lebanese specialties such as grape leaves, tabbouleh or m’juddarah. Cucumber laban holds a special place in my heart. Growing up, I remember watching my Aunt Paula make it in her kitchen before family dinners or holiday gatherings. She would test taste often to find the perfect balance of garlic, mint and lemon juice. Cool, creamy and refreshing, I can’t get enough of it. To this day I am confident mine doesn’t taste as good as Aunt Paula’s which is funny because she never thinks hers tastes right either. Why is that? 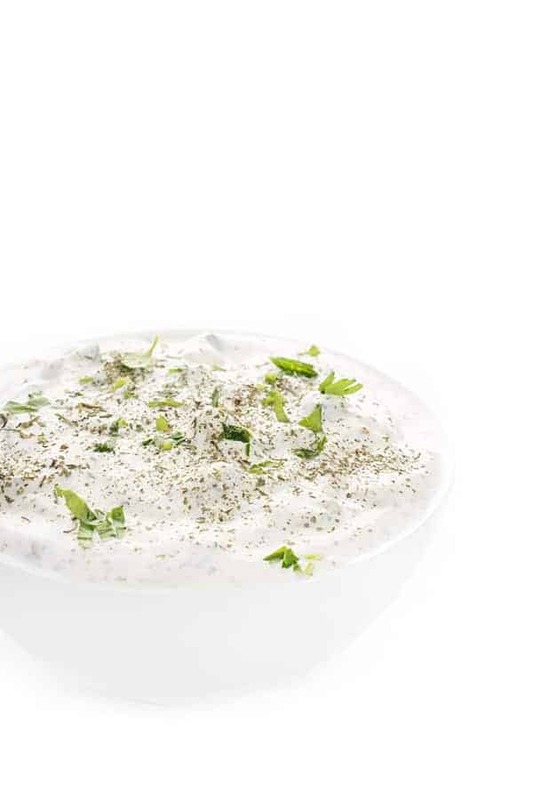 Cucumber laban is traditionally served alongside Lebanese dishes such as Meat Stuffed Grape Leaves, M’Juddarah (lentils and bulgur with caramelized onions), Stuffed Kousa Squash or Sfeehas (meat pies). 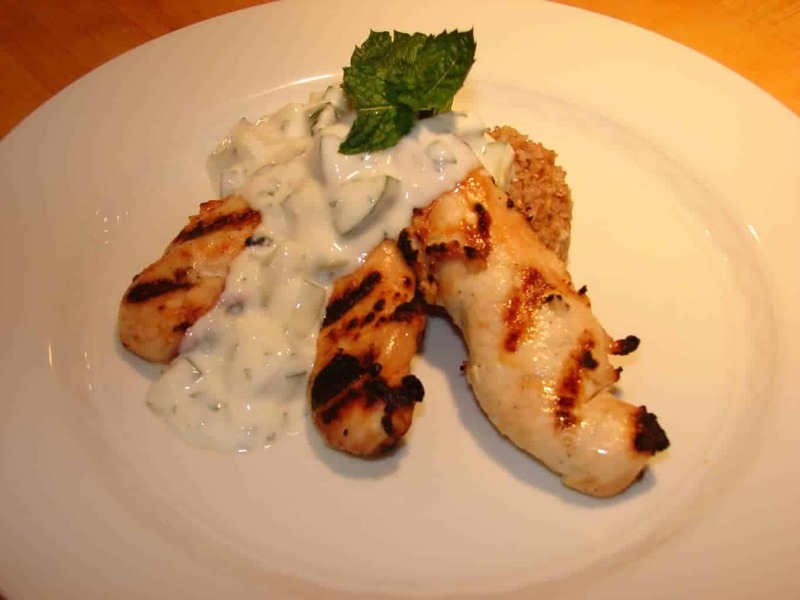 It is also great in a pita sandwich or on top of grilled salmon, chicken or pork. 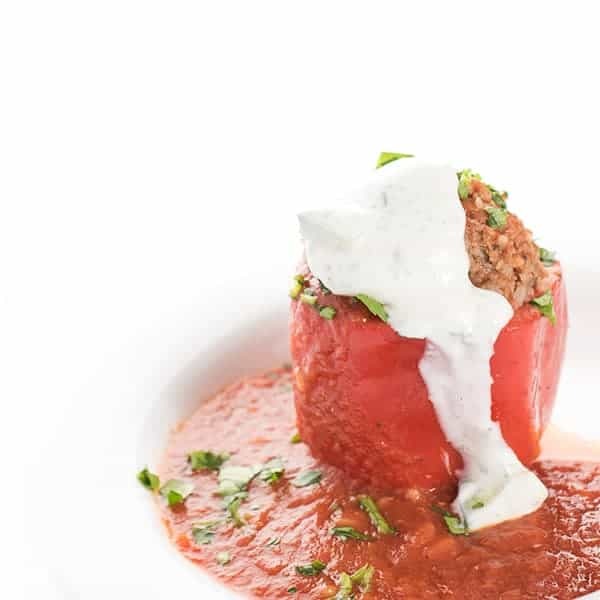 When I served mine to my mom and aunts recently I was relieved when they said it tasted just like their Grandma Sito’s which is the best compliment you can get in our family. 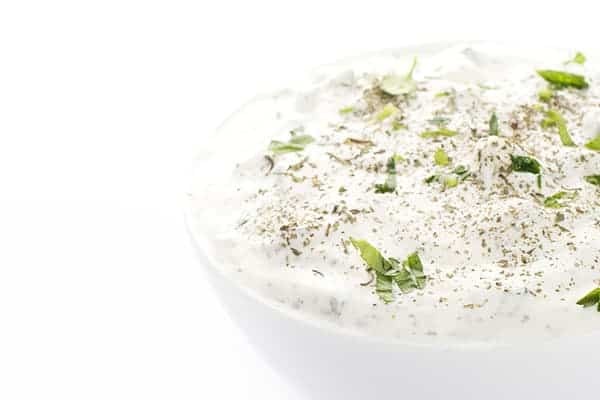 This cool and creamy Lebanese laban cucumber yogurt sauce is perfect with grilled meats, salmon or as a side salad with a variety of Lebanese specialties. Check for seasoning and add more lemon, garlic, mint or salt depending on your personal preference. 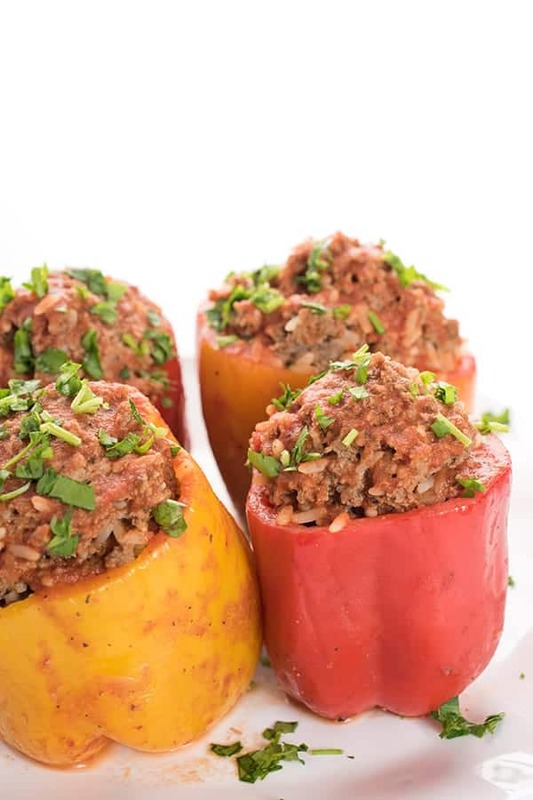 Check out more Lebanese recipes on my Pinterest board! This sounds amazing. Is thsomething i can make a day ahead for company? Oh yes absolutely! 1-2 days ahead is fine! 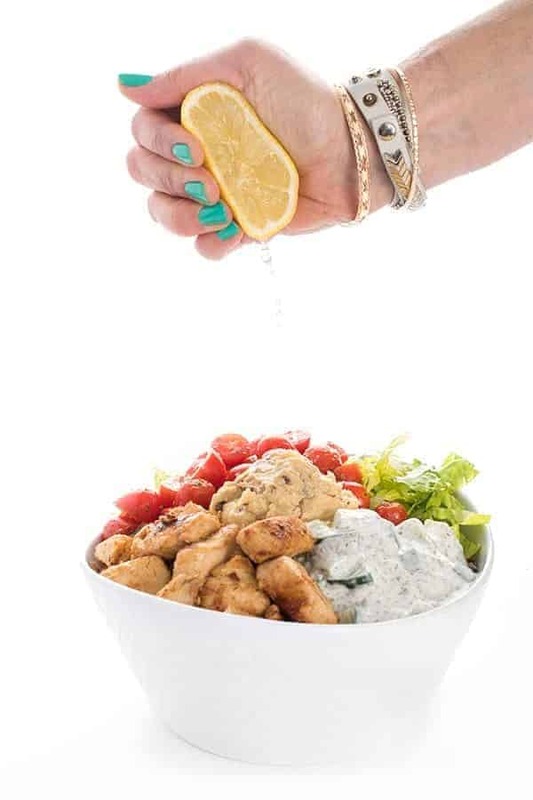 I made this for your Chicken Shawarma recipe and I pretty much want to eat it on EVERYTHING now. And I don’t even like cucumbers! We are trying to go dairy-free at my house due to an allergy, so I made this with unsweetened coconut yogurt and it was perfect. My husband had no idea it wasn’t regular yogurt. YES!! Isn’t it so good?! This is the only recipe site where I have seen the autiomatic servings converter for ingredient quantities. Brilliant! Brings me back to my childhood in a Lebanese, Greek, & French Canadian kitchen- did WE get a little taste of everything! Our cucumbers were cut into bites and with the same dressing, served as a salad. Oh that’s wonderful!!!! Thank you so much! As soon as I saw the words “Lebanese and yogurt”, I was sold! I grew up in Asia and the Middle East (State Dept. brat) and have such fond memories of Beirut. When you lived in third world nations in the 50’s and 60’s, Lebanon was a wonderful place to vacation, It was a lovely city with gorgeous beaches and the food was too delicious for words. I use this sauce in so many ways and my family loves it, from the oldest to the very young. (I also just eat it with a spoon.) 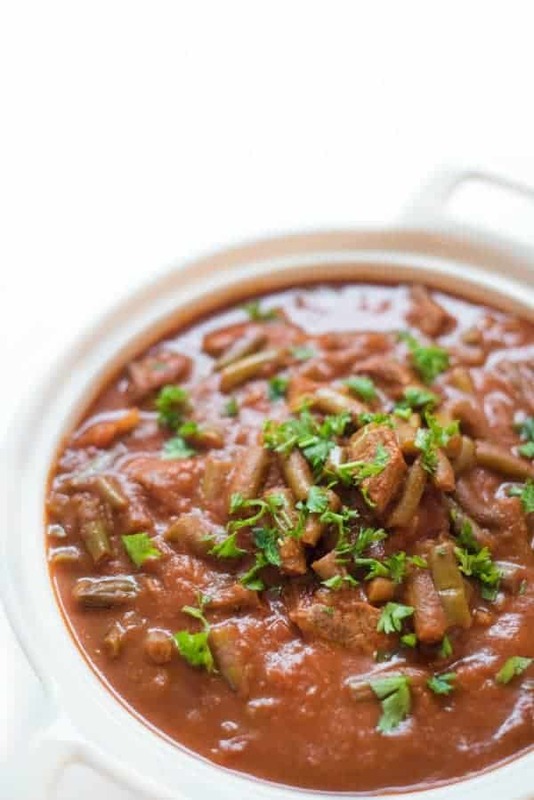 Your recipe is perfect and it must have been kismet when it popped up on my Pinterest feed.